During the period in which Verdon recorded The Girl I Left Home For, it’s fair to say that she was the reigning Queen of Broadway. No musical actress was more decorated by the Antoinette Perry (Tony) Awards: she won Tony’s four out of the six years between 1954 and 1959, for Can Can, Damn Yankees, New Girl in Town, and Redhead, and in all the latter three she was directed or choreographed by her future husband, the most celebrated of all post-war dance directors, Bob Fosse. 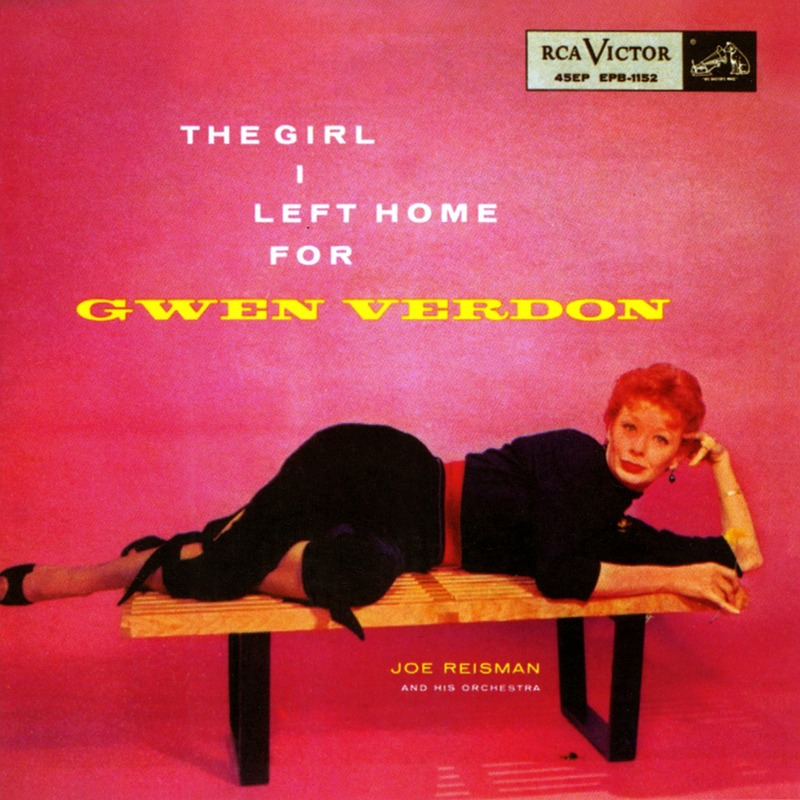 Even though Verdon was not primarily a singer, RCA Victor had good reason for recording her, and for more than the celebrity of the Tony awards. When the 12” LP arrived in the mid-50s, record labels instantly discovered the advantages of placing good-looking women in snug clothing (or, in some cases, very little clothing) on the covers; in many cases, buxom models even turned up on the covers of instrumental albums by male artists (a tradition that should be revived). The company apparently reasoned that Verdon’s Broadway accolades plus her vivacious looks and ability to put a song over added up to at least one album. Regrettably, she didn’t make any more, but this was a funny period, in which even Barbara Cook, Julie Andrews, Judy Holliday, or even The Mighty Merman herself didn’t record nearly as much as they should have (and the same thing went for the great singing leading men, like John Raitt and Alfred Drake). Verdon’s one album, The Girl I Left Home For, remains a truly under-appreciated gem.